China's yuan has risen against the dollar in the past few years. The Treasury Department said Friday that it was delaying the release of a report on international exchange rates that often contains criticism of China's currency policies. The semi-annual report, originally due next week, is frequently delayed. It will now be published at some point after the G20 Finance Ministers meet in Mexico City early next month, the Treasury Department said, meaning it likely will come after the presidential election on Nov. 6. 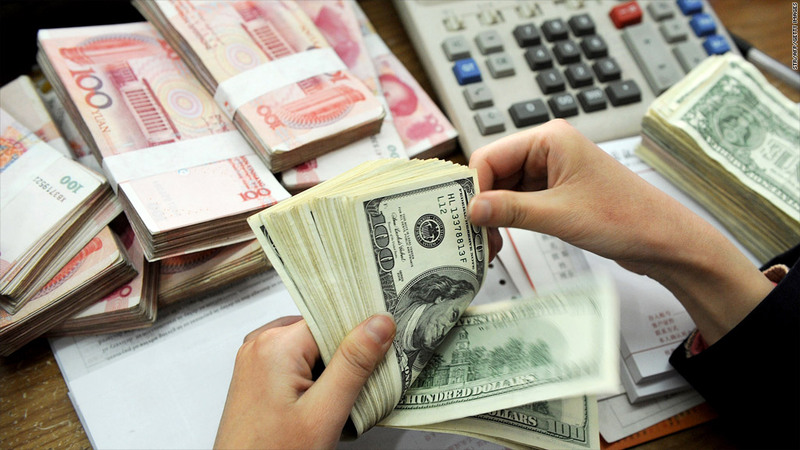 Earlier versions of the Treasury report have criticized China for intervening in the foreign exchange market to depress the value of its currency, the yuan. But the Obama Administration has stopped short of formally designating China a currency manipulator, a move that could lead to trade sanctions. Related: Will China's auto boycott backfire? Republican presidential candidate Mitt Romney has vowed to take this step should he win the election, a move sure to increase tensions in the already rocky economic relationship between China and the U.S. The Treasury Department announced the report's delay on a day when the yuan reached its highest level against the dollar since 1994, when China first introduced its modern currency-trading system, according to Dow Jones. In the last edition of the report, published in May, Treasury credited China with "allowing necessary external adjustments to take place" to boost the yuan's value, though it urged Beijing to do more. Although the Obama administration has avoided action on the yuan directly, it has filed trade cases against China over exports of rare earth minerals and auto parts, and has introduced tariffs on Chinese-made solar panels.